Perfection in Rye! 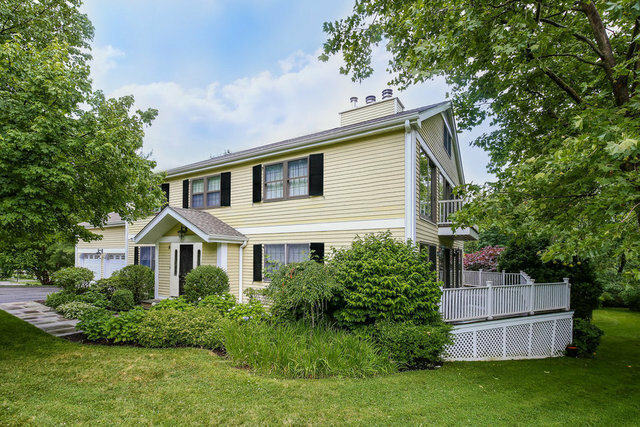 This sparkling 6-bedroom classic Center-hall Colonial with show-stopping Shoreline Pool is tucked away on 0.5 acres on a quiet cul-de-sac, easy walking distance to Osborn Elementary, Rye Middle & High Schools & Harrison Metro North. Beautifully refreshed in 2019, this exceptional home has it all: a bright, sunny Open-Plan Kitchen/Breakfast Nook/Family Room with sliding doors to deck overlooking oasis-like pool; a gracious formal Dining Room & an elegant formal Living Room with 2-sided fireplace featuring a wall of sliding doors opening to an amazing Sun-Room/Solarium - think Peleton/Yoga/Pilates Workout Room, or serene Spa Lounge/Reading Room!! The tranquil Master Suite features a private seating area with balcony;the add'l 4 upper bedrooms are spacious & bright with ample storage & closets. The walk-out Lower Level offers a 6th bedroom/bathroom & huge Recreation/Media Room w. doors to patio,hot-tub & pool - perfect for parties, sports & outdoor entertaining! !